Did you know Experience Momentum’s Registered Dietitians can save your company money? Corporate wellness is a hot topic these days - let us be the experts that guide your team to health! Many employers are finding corporate wellness programs that aim to keep employees healthy are a win-win for everyone. Research shows that employees who have healthy eating habits, exercise, or intentionally move their bodies regularly are more engaged at work, have more energy throughout the day, and show increased work performance and cognitive acuity. Employees who believe that their employer truly cares about their health feel more invested in the company (not to mention that prevention will lower employee healthcare costs down the road). A big part of achieving a healthy lifestyle is nutrition. Three of the most common chronic health conditions in America are directly related to nutrition: obesity, cardiovascular disease, and diabetes. People make an average of 200 food decisions each day. Making food or diet changes is easier said than done- especially changes that are sustainable for a lifetime. That is where our Registered Dietitians at Experience Momentum, a functional wellness center, can help. Our nutrition philosophy is based on whole foods, supported by science, and sustainable for a lifetime. We understand that one way of eating does not fit all and that food has an emotional, social and cultural component to it. Our Registered Dietitian Nutritionists accept most major insurance carriers in addition to cash-pay plans. Onsite wellness presentations: A fun and engaging way to learn as a team, our Dietitians will come to your workplace and host wellness and nutrition seminars ranging from 15 to 90 minutes. Out presentations can cover any nutrition topic your team requests, or you can choose from one of our previous topics, including how to stay healthy with a desk job, anti-inflammatory eating, how to change your work and living space to subconsciously make healthier choices, and many more. Free 15-minute goal assessments: This is a great start for employees wanting to discuss their nutrition and wellness goals or concerns one-on-one with a Dietitian. 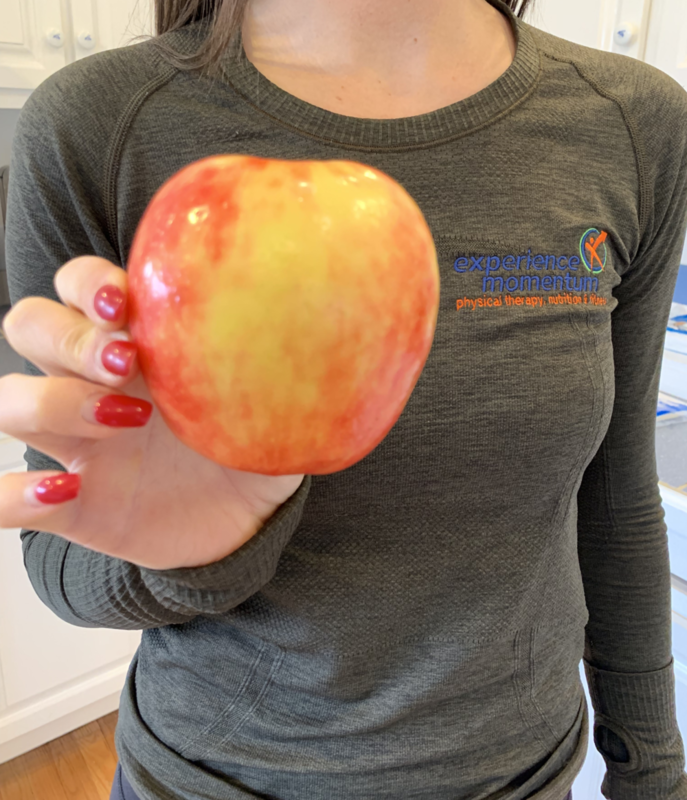 Our Dietitians help people set achievable goals while keeping them accountable for both general health and wellness and specific medical conditions. From the goal assessment, our Dietitians will recommend a plan of care specific to each individual’s needs. Grocery store tours: You may not realize how the power of food marketing is outsmarting you at the grocery store! At Experience Momentum, we offer Grocery Store Tours with our Dietitians, where you’ll learn how grocery stores subconsciously push you to buy unhealthy foods, how to make healthier choices while grocery shopping, and tips and tricks for food storage and preparation to make your life easier. This is a hands-on, interactive tour- so bring your questions! Our Dietitians recognize that society makes nutrition more complicated than it needs to be. We are here to bring clarity to the confusion and make nutrition and food as fun, easy, and healthful as possible. Companies find that incorporating wellness programs that include nutrition and lifestyle support are not only good for the employees, but make good business sense. When employees are healthy it results in less work-related illnesses, less sick pay, less stress, and less turn-over. Healthy employees are happier more productive employees. For more information on how to work with Experience Momentum you can email info@experiencemomentum.com or call the location that is most convenient.